Imagine stepping into a magical dressing room and leaving with signature clothes and a wardrobe that complements the best presentable version of you. 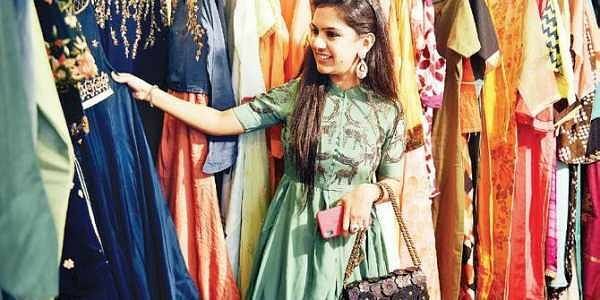 CHENNAI: Imagine stepping into a magical dressing room and leaving with signature clothes and a wardrobe that complements the best presentable version of you. Walk into the ongoing Fashion and Lifestyle exhibition, at Style Kingdom, and you will find designers and fashion enthusiasts from across the country. Stalls were set up at 11 am and customers started flooding in with happy smiles, posing for pictures and greeting each other. Amidst this, an extravaganza of fashion fraternity highlighted the event. All stalls hosted unique collections and were sure to mark a fashion statement for those who bought their products. The event was presided by Pradaini Surva, a top model from Chennai. Entrepreneurs in the business of fabrics were part of the event too. There were Kalamkari prints, Chikankari from Lucknow, tussar silk, tunic, and baby designer clothing brands. 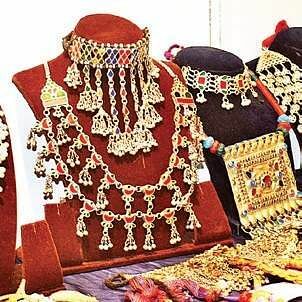 Stalls with crystal and semi-precious stones; hand-made footwear; beauty products like night creams, lip balms, body scrubs and pure, chemical-free soaps; puja materials like candles and camphor; homemade room fresheners; wooden wall hangings, handicrafts pieces and jewellery boxes were also seen. The stall called ‘A Toddler Thing’, run by a few youngsters from Coimbatore, drew a fair amount of attention. They exhibited recyclable and reusable cloth diapers, an innovation that promised comfort to babies and mothers who otherwise spend hours dealing with diaper-related problems. Customers were also given ‘thank you’ cards embedded with basil/marigold seeds, keeping with their idea of making eco-friendly products. There were other stalls that served coffee and delicacies like brownies and pancakes. Since most stall owners were first-timers in Chennai, the vibrant crowd kept their mood upbeat.